KRC offers freight service for 150 mi between The Pas and Pukatawagan. KRC provides railway track maintenance services for railway companies and lines in Northern Manitoba. 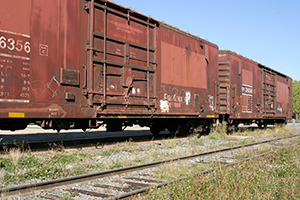 Keewatin Railway Company (KRC) provides freight service in Northern Manitoba for finished goods and raw materials between The Pas and Pukatawagan. This 160 mile railway line is operated by Keewatin Railway Company, The sole control of the line allows KRC to ensure safety and reliability of its freight service. To inquire about booking freight to move on The Pas - Pukatawagan line, please contact KRC sub office in The Pas.